Nonprofit organizations are founded and operated with a focus on a mission to serve their communities. This makes them different from businesses, which operate with a goal of making a profit for their owners. Yet nonprofits share many characteristics with businesses—both have revenues, expenses, personnel, and facilities. Like businesses, nonprofit organizations sometimes need cash in the form of a loan to operate their programs effectively. Astute managers and boards understand that loans can be a tool that can help their nonprofit grow and succeed. We know from juggling our own bills that it is never a good idea to borrow money that you cannot repay. Using loans wisely requires thought and planning about how the cash will be used and a realistic plan for repayment. Consider an organization that has an opportunity to open a new site for their service. They research the location and find that it’s a good fit with their services and mission. Arrange for a $20,000 loan with monthly payments for four years and start the program right away. In this case, it would be unfortunate to miss the opportunity. Taking out a loan in this situation is demonstration of good management and planning. Many organizations run into situations in which the timing of when they receive funds and when they need to pay bills and payroll get out of sync. Contracts may be on a reimbursement basis and grants come in uneven lump sums. Every organization needs working capital, unrestricted cash that pays the bills. If there isn’t sufficient cash in reserve, having cash available from a bridge loan or a line of credit can provide stability. The first step in arranging for a bridge loan or a line of credit is to develop cash flow projections to determine how much is needed to even out the bumps. Some cash flow needs can be anticipated in advance, while others arise because of unexpected delays or expenses. If a repayment source can be identified, a cash flow loan may be the solution. Most organizations don’t have large sums of available, unrestricted cash to use for leasehold improvements, equipment, or other capital purchases. Yet having the facilities and equipment to operate is essential to delivering services, and lack of cash can be a real obstacle. Sometimes a grant or in-kind donation can fit the bill, but in many cases, a term loan with monthly payments is the best tool. To purchase or renovate a building, a mortgage loan is familiar to most of us. The amount that the organization can expect to borrow for a building will depend on the cash flow available for monthly payments as well as the value of the building. 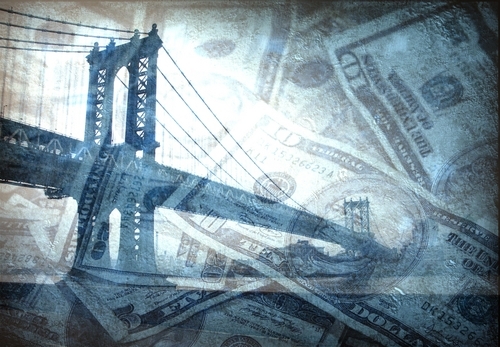 If a capital campaign is planned to pay for some or all of the building costs, there may still be a need for a capital bridge loan to have the cash available until the campaign is done and all the pledges are received. As the earlier example shows, a loan can provide upfront cash to start or expand a program. In other situations, cash may be needed for an office move or to start an earned income venture or program. Mergers, also, may require some cash for one-time expenses such as consultants, changes to facilities, or communications. Loans can be arranged as a bridge loan with monthly payments or with lump-sum balloon payments due when there is cash flow from new program funding. Some nonprofits find themselves in financial trouble caused by events outside of their control or poor management practices and decisions. Bills and debts may accumulate and threaten to overwhelm the mission and operations of the organization. In this situation, loans can be helpful only as a part of a turnaround plan that will set a new course for the organization. Using loans to pay off other obligations, usually in a term loan over several years, can take the pressure off and allow the management and board to focus servicing clients and improving management and governance. However, the problem isn’t solved if, as the saying goes, you just “borrow from Peter to pay Paul,” so applying for a debt consolidation loan requires considerable analysis and planning. There is no “one-size-fits-all” loan. Loans can be structured with regular monthly payments for several years or as short-term loans that are fully paid in a few months. Once you know the amount you need and have an idea of the timeframe for the use of funds and repayment, meet with a lender to discuss their terms and application process. Interest rates will vary depending on the amount, term, and the risk associated with the organization’s financial situation. Be sure to ask also about fees and other costs of the loan. Some people believe that borrowing is a sign of dire trouble—proof that the board and management have done something wrong. The truth is that managing cash flow, making loan and interest payments, and planning for stable operations are all part of successfully managing an organization. There is also a concern that foundations and other funders will look askance at nonprofits that “need to borrow.” Actually, savvy funders understand the complexity of managing a nonprofit. They know that loans can be valuable tools for cash flow and financial stability. The right time to consider seeking a loan is when you know how the funds will be used, have a plan for repayment that is based on reasonable assumptions for future income, and have the support of the board. If an organization has been operating with a persistent deficit, a loan is not the appropriate tool to fill the gap and pay ongoing operating expenses. Adding debt on top of accumulating losses is a step towards bankruptcy. If you don’t have any realistic idea of when or how the loan can be repaid, it’s time to step back and consider other options. The most important information to have when applying for a loan is recent, accurate financial information about the organization, a plan for the amount and use of the funds, and a repayment plan. The lender will have questions about the organization’s history, plans, cash flow, and management and board. Lenders will require some type of collateral, (a building, equipment, or accounts and grants receivable) and legal documents, such as the by-laws and a resolution of the board of directors. Your loan request will receive the best hearing if you are able to discuss the request with the loan officer and be sure that they understand your needs and ability to meet their requirements.